After you have selected a product you want to import and found a supplier for it, the next step is to expedite the importation of the product. 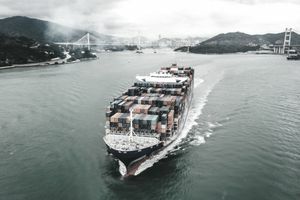 Whether you use your own transportation company (i.e., UPS or FedEx) or your supplier’s preferred shipping carrier, you will want to minimize errors, which can cause shipping delays. We’ve prepared the following checklist to use as a guide for expediting the clearance of your goods. It gets down to “the devil being in the details,” so pay attention to what needs to be done and do it accurately. Prepare your invoices correctly. A commercial invoice acts as a bill of sale between a buyer and seller, describes what you are importing and references important transaction numbers. It also serves as a vehicle for you paying the supplier. The invoice must be prepared exactly as you and your supplier agreed upon in the proforma invoice, (serving as a general idea of the kind of information needed for import entry purposes). Don’t have your supplier handwrite it out. It should be prepared on a computer and printed so the invoice is legible and easy to match up against customs invoices and other relevant documents. Show all goods precisely as they are to be imported. Accuracy is the key here—every statement of fact must be true and accurate. Include all information required on the customs invoices. A customs invoice is an extended version of a commercial invoice in which the exporter (your supplier) states the description of the goods, quantity, selling price, freight, insurance, packing costs, terms of delivery, payment method, weight and/or the volume of the goods for the purpose of determining customs import value at the port of destination. Make sure your invoices match up against your packing slip. A packing list accompanies the international shipment and is used to inform transportation companies about what they are moving as well as to allow the customer (importer) and others involved in the transaction to check what has been shipped against the proforma invoice. It is a good safeguard against shipping incorrect cargo. Mark your goods with the country of origin unless the goods being imported are exempt (refer to CBP.gov's "Country of Origin Marking." Scrutinize the supplier’s instructions with respect to invoicing, packing, marking, labeling and payment, for example, because you must comply with the terms and conditions of the transaction to clear your goods and have the supplier get paid. Work closely with the Customs Border Patrol (CBP) staff to develop a relationship, to make sure your commodity is packed sufficiently and to abide by all the rules and regulations. Ship on a carrier that participates in the Automated Manifest System (AMS). Use a licensed customs broker for your importation (UPS and FedEx, for example, have these individuals readily available on a transaction), but if you go it on your own consider using a firm that participates in the Automated Broker Interface (ABI). Comply with the laws regarding the type of product you are importing (foods, pharmaceuticals, cosmetics or alcoholic beverage, for instance). Contact the CBP office at the port of entry where your merchandise will enter the United States so you can provide as much detail as possible regarding the transaction. Do this before the import is scheduled. This ensures a safe and seamless importation.